Great job! Very informative video. They are the future of the Industry Congrats Guys !!!! Great presentation. Very informative. Kids asked good questions that were explained in easy to understand dialogue. Thanks! A Great job done by Mr. Murray and the three young men. A very interesting informational piece of work. This would be great to show grade school children all around our Great State of Ohio and West Virginia. Great job boys. Well done. That’s excellent. All future mining engineers? Come to WVU!!! Great presentations. -by 3 young guys and Mr. Murray. You have great teachers and will go far. Great to see that the future of our industry is going to be in great hands….. Keep it up young men. Way to go Maddox! Great job on spreading the word on coal. Awesome! Great experience for the boys. I think they could easily give some folks in Washington a run for their money. Loved it! Keep up the good work on behalf of coal and affordable and reliable electricity. Well done! Your voices will be heard clearly by the world! Excellent job boys! What a great video! Wow!! I certainly learned a great deal of information. Thanks! Good Info for general public. Very interesting and educational. Great job. Excellent way to show we need coal. Great job! Well done! Glad to see youth being involved. It was a special moment when my son told me he wanted to work with the coal miners like I do. Well done. Keep up the great work. Nice to see kids who are learning about how things really work. Great job guys! 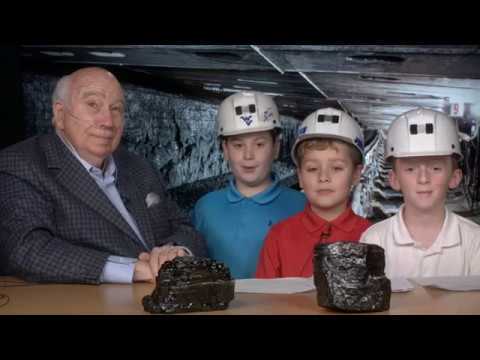 Thank you for helping to educate kids everywhere about the importance of coal. Well done gentlemen. Our future is sure to be a bright one. Great job by Father and little ones. Thank you Mr Murray! Great presentation of the use of coal . To the young men in the video thank you also ! Great Presentation! Here’s to our future young Coal Miners! Fantastic, very informative Video! Keep up the Great work! Thanks for sharing the video. Awesome job. Hugs to the Murray family from the Hassenbusch family. Thank you for the information about America’s finest fuel source. Excellent presentation by three young future mining engineers. Bob, you must be very proud of them. Hats off to these young men. Keep up the good work! Very good presentation. Future Jennmar personnel?